sarah sprague | Please be sure to see TRUE GRIT this weekend. Some movies are too good for wrapping paper. “Crosby at Christmas: The Gift of Sid” A Dramatic Reading Look what came in the box of presents from my mom! Please be sure to see TRUE GRIT this weekend. Some movies are too good for wrapping paper. 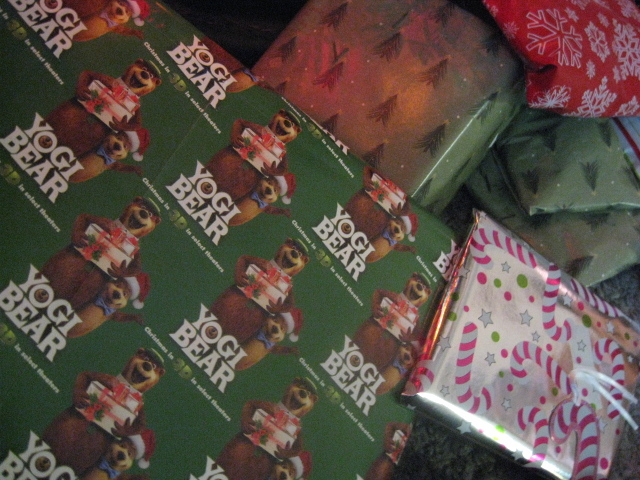 Damn straight I’m going to use the free YOGI BEAR 3D wrapping paper they were giving away at The Grove’s valet stand. I even took extra, just scoop up all the marketing dollars I could for a movie that not only do I have no interest in seeing, I actively hope fails.